Noviomagus Bone Harvesting System - Spierings Orthopaedics B.V. Harvesting autologous bone material from a patient can be an additional hurdle in already complex surgery. It can lead to donor site morbidity and often patients complain about pain from the harvest location. The Noviomagus Bone Harvesting System is designed for a minimal invasive approach to autologous bone harvesting. This system makes it easy for a surgeon to harvest the bone material while reducing patient discomfort and donor site morbidity. The hollow drills of the Noviomagus Bone Harvesting system are hardened, which makes them durable for a large number of surgeries. The ratchet T-handle makes the harvesting process easy and efficient. All items can be fully sterilized after use; no disposable items are required. Autologous bone material is considered the golden standard for use in procedures such as interbody spinal fusion or arthrodesis. The Noviomagus Bone Harvesting System allows for efficient harvesting of autologous bone through a small incision, which helps to minimize the patient’s discomfort and donor site morbidity. Harvest the amount of bone material needed by using one of the four different Bone Harvesting Drills. The bone will be collected inside the drill during harvesting. 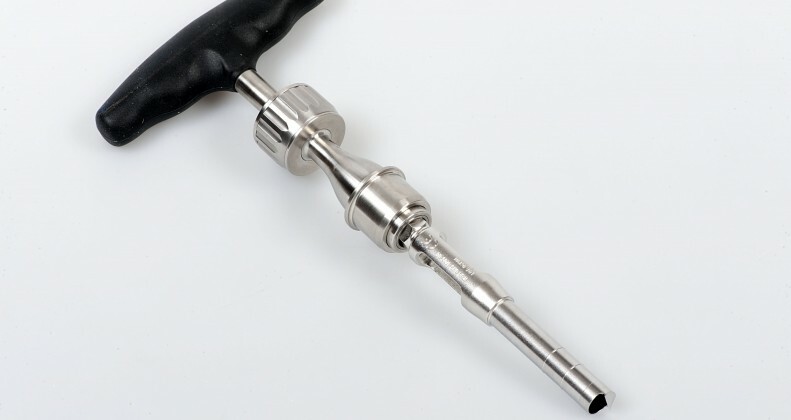 When sufficient bone has been gathered, the Bone Graft Push Rod can be used to retrieve the bone from the drill. 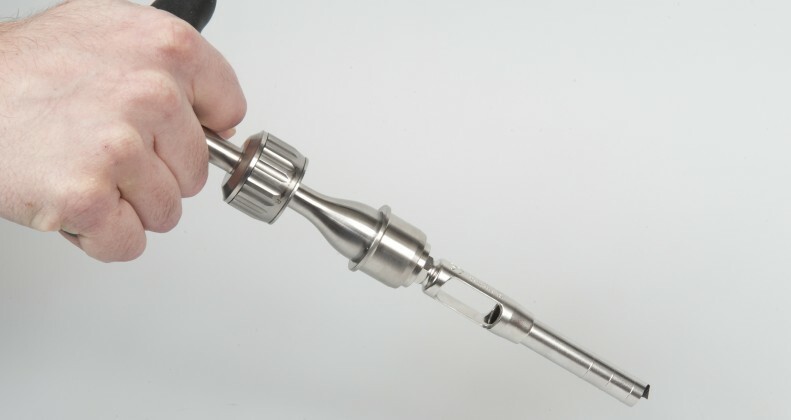 The smallest drill collects approximately 0.7 cc of bone material, the largest one can hold up to 2.8 cc of autologous bone graft. 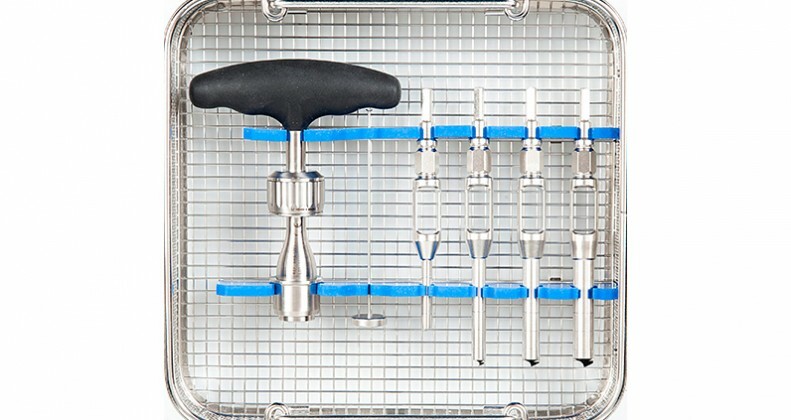 The Noviomagus Bone Harvesting System is easy to assemble as it only comprises a few parts: a Ratchet T-handle, a Bone Graft Push Rod and Drills in four sizes. 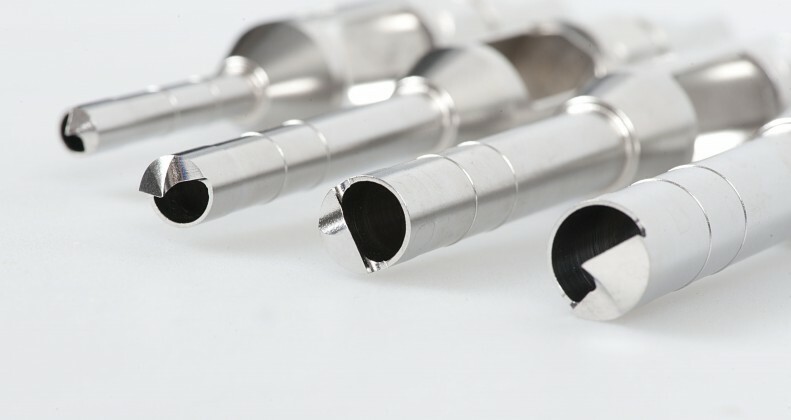 The four drills have the standard AO-coupling. With the ratchet T-handle it takes little effort to harvest bone graft, so bone is harvested in a matter of seconds. If you are interested in the Noviomagus Bone Harvesting System, you can contact our account managers and distributors via our contact form. They will gladly advise you on the best solution for you specific needs. What is the life span of the drills? The tip of the drill is extremely sharp and has the possibility of breaking. We advise to check the drills after each time they have been used. The warranty of the parts is one year. What is the amount of graft harvested by the drills?